We had loads of fun and some of the cutest fans! Little Ms. Auburn was ready for the game (baby in the middle) but she crashed for a nap in the middle of the first quarter as all the excitement and attention was just too much. That same cute guy that I found at the other Auburn game was around for this party and so we took another picture together. I think it might become a tradition or something since it keeps happening. He even jumped in with a bunch of us gals to take a snapshot of the fun. It was funny but since neither are diehard fans we were able to see past the colors worn and have a laugh. 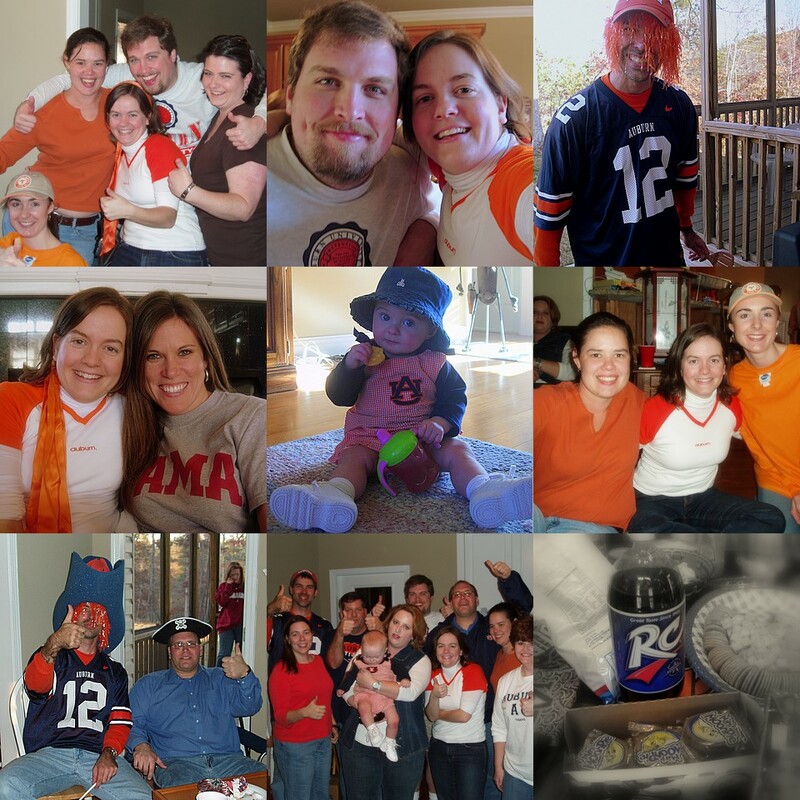 All in all it was a fabulous time and Auburn won! Whoo hoo WAR EAGLE!